The Lifestyle Inn Cedar Falls hotel offers an ideal location during your next trip to Cedar Falls. Whether you are traveling for business or pleasure, this Iowa hotel's central location and affordable accommodations is sure to make your stay convenient and memorable. Waterloo Regional Airport is five miles away and this hotel in Cedar Falls provides free airport transportation for its guests. Additional local points of interest close to this Cedar Falls, IA hotel include the University of Northern Iowa (UNI), the UNI Dome stadium and the Gallagher Bluedorn Performing Arts Center. Many area restaurants and shopping centers, including College Square Mall, Applebee's, Famous Dave's, Texas Roadhouse, Old Chicago and Starbucks, are within walking distance to the hotel. Many businesses like John Deere, ConAgra and the Target Distribution Center are nearby. Hotel features include free high-speed Internet access, free newspaper, a fitness center and on-site restaurant and lounge, Against the Grain. Guests of this Cedar Falls, IA hotel can take advantage of seven large and fully staffed meeting and banquet facilities that are perfect for hosting an array of special events or business functions. Corporate travelers can appreciate a business center with access to copy and fax services. In addition to standard amenities, all guest rooms at this hotel in Iowa are furnished with coffee makers, curved shower rods, hair dryers, desks and flat-screen televisions. Rooms that offer upgraded features like kitchen facilities with microwaves and refrigerators, sofa sleepers and whirlpool bathtubs. 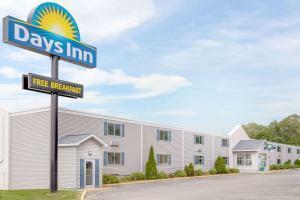 This hotel in Cedar Falls, IA has a game room and laundry facilities located on the premises. When would you like to stay at Lifestyle Inn Cedar Falls ? Boasting free Wi-Fi and a flat-screen cable TV, this room is equipped with tea and coffee-making facilities. Guests are required to show a photo identification and credit card upon check-in. Please note that all Special Requests are subject to availability and additional charges may apply. You must show a valid photo ID and credit card upon check-in. Please be advised pets are not allowed. Each day we'll check prices and send you an email for your selected dates at Lifestyle Inn Cedar Falls. If you don't have specific dates but would like to check prices for say next weekend or say next month we can check the price too. Click to write a review and share your experience of Lifestyle Inn Cedar Falls with other travellers.